I love zoos. It’s a great way to get outdoors, go walking, and enjoy seeing all of the animals. Great zoos aren’t just about keeping animals in captivity but about learning about them and striving to find a way to help those in the wild stay wild. Mom is down visiting right now so we are headed to the Kansas City Zoo. 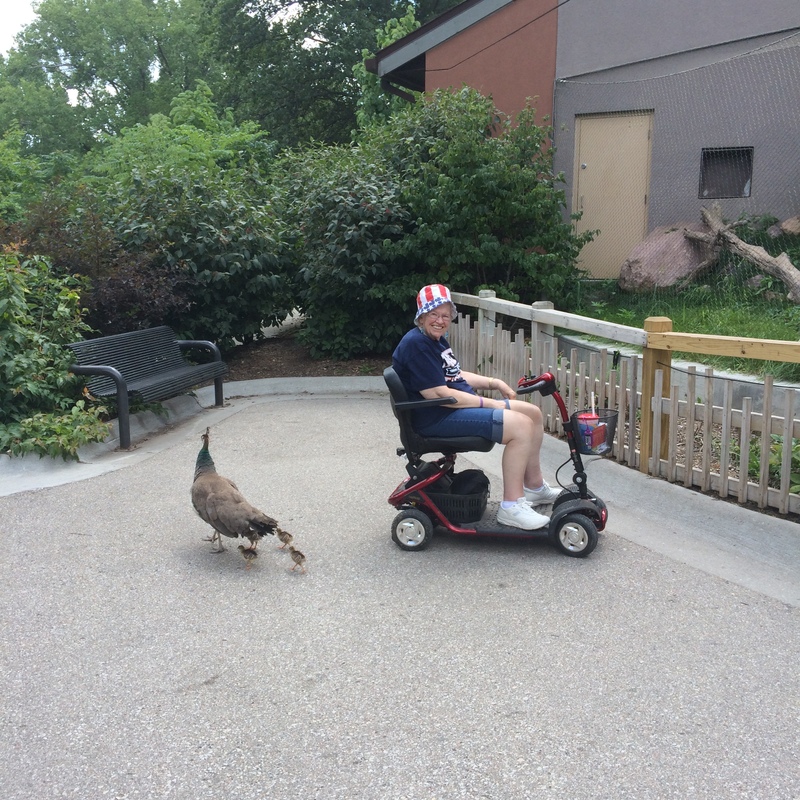 With her electric scooter, it’s a nice day outing and I think she enjoys the zoo as much as I do. Growing up, we didn’t get to the zoo very often, it wasn’t close to us. The Detroit Zoo was about an hour away and when I was young, that seemed so far away. Both me and my sister now live close to a zoo, she is near the Comunbus Zoo in Ohio. I think my mom made it to four zoos last summer between us; Kansas City, Omaha, and Detroit with me, Columbus with her. We arrived around 10am, two hours after the zoo opened. I couldn’t believe how many cars were here. A lot of buses were also in the parking lot. The handicapped spaces were full, there isn’t a lot of them, so we went in search of a parking space. Even though there isn’t a lot of handicapped parking, there is a large area for loading and unloading, so it isn’t necessarily a problem. Mom had her scooter, so we could park pretty much anywhere as long as I had room to get it out of the back of the van. We ended up parking by the buses. Mom forgot her hat so the first 20 minutes were spent going back and forth between her and the gift shop as I looked for a hat for her. She prefers the crush-able fabric bucket hats but it seemed like they only had those in child size. She didn’t want to come in with her scooter because it is sometimes difficult to navigate in there with it, especially when there is a lot of people. While most of the park is ADA friendly, I will say the main gift shop near the entrance is sometimes difficult. It has enough room for a wheelchair, so they are compliant, but, like we often see in stores, they don’t take into account someone with an electric scooter. There are quite a few sharp twists and turns from that perspective. I finally convinced her to come in and look at them. She didn’t want the adult hats because they didn’t say “Kansas City Zoo” on them, so I found the largest size child’s hat they had and she purchased that. I’m sad to say I didn’t get a picture of it because of what happened as the day progressed. As we were going through the back half of the zoo, after we crossed the swinging bridge, I noticed I smelled a burning wire / electronic smell. I thought perhaps it was just being in that area and ignored it. As we crossed back over the swinging bridge to finish our African Adventure and grab a bite to eat, I noticed my mom was getting further away from me. She keeps the speed pretty slow in general, but this was slower than normal. We had lunch at Rafiki Restaurant right at the beginning of Africa. I had shut off the scooter and removed the key while we sat at a table inside. After our day, I hate to say something negative about the zoo, but I really have to. I know you can bring in your own food but when for me, between traveling with everything my mom needs and the scooter, the last thing I want to worry about it packing a lunch and keeping it cold. The food at the zoo just seems so overpriced for what you get. The fries were good. They were the nice thick crinkle ones. The double cheeseburgers are $8 and so dry! I understand having to cook them well done, they might even purchase them pre-made, pre-cooked, I’m not sure, but my cheese didn’t even begin to melt. Is the cheese too cold? The burgers not hot enough? It’s a little disappointing. 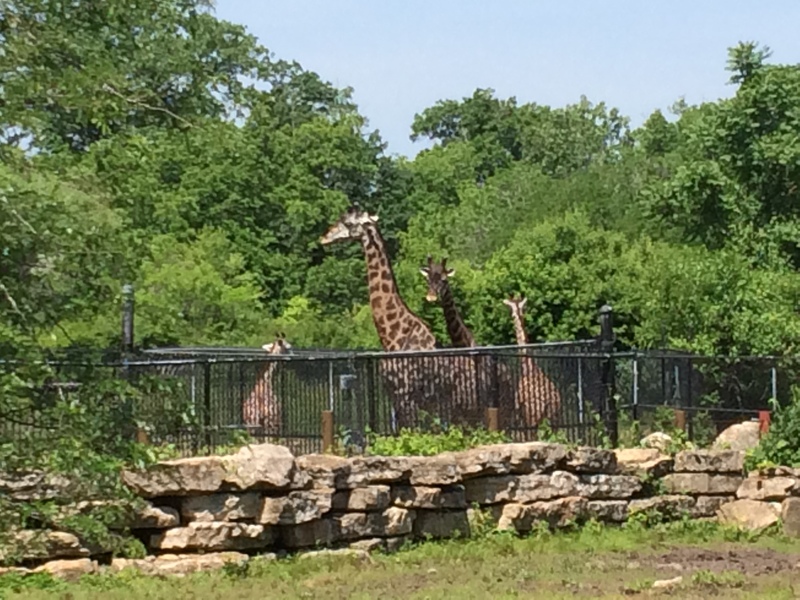 One way to save some money though is to have a Friends of the Zoo Membership (FOTZ). You save money on food, items in the gift shop, etc. If you purchase a large, refillable, souvenir cup for $8, you can get it refilled for $1.50 or $1.35 with the FOTZ membership. They will refill it with ice water for no charge. The cups are nice and large and for us, they fit in the basket of her scooter quite well. After we finished eating, mom started the scooter back up, ready to enjoy the remainder of the day and head over to the new Orangutan Canopy Exhibit. She pushed the lever and nothing happened. I looked over and the scooter wasn’t moving. Uh Oh, what’s going on. I thought perhaps I forgot to re-engage the brakes, but it usually gives us an alert when we do that. I had her shut it off, I checked it all over, had her start it up again, and again, nothing happened. What is going on? I have her hop back off it so I can try to figure it all out. I pull the battery out, check all of the connections, put it back in, and try it again. Still nothing. I turn it on and leave it on for about sixty seconds, and a series of beeps start to come from the scooter. I know those beeps mean something, so I turn it off and back on again so I can count the beeps. 9 beeps. Pull the battery back out to cross reference what 9 beeps means. INTERNAL ERROR!!! Contact an authorized dealer! Ugh!!!! I leave a message with Chuck from Chuck’s Mobility over in Lenexa, KS. He is the one we had purchased it from. 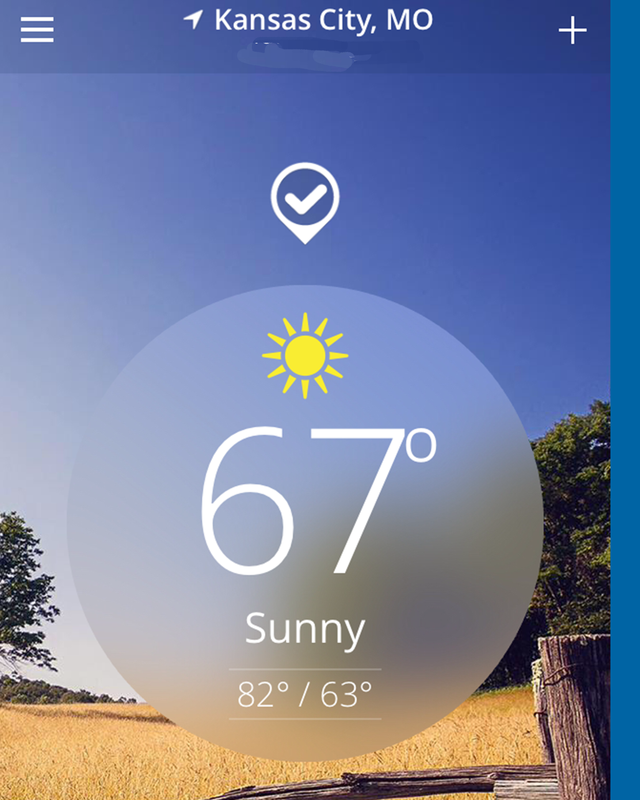 I guess I should be happy that this happened in Kansas City and not in Michigan. So here we are, stuck in the back of the zoo with a scooter that isn’t working. I can’t push her all the way to the front. Even if I went to get a replacement scooter, I still had to get the other scooter back to the van. What a dilemma. The restaurant is pretty busy, so I push mom out of the restaurant and head over to the gift shop. They weren’t quite as busy so I asked the associate if she could contact someone in guest relations to figure out if they had a solution. She was so helpful. She was able to reach someone and they were sending EMS out to help us out. I didn’t really feel like we needed EMS because it wasn’t an emergency, mom was fine, maybe a little frustrated, but fine. EMS arrived and after a few minutes discussing the problem, we came up with a solution. He was going to take mom in his cart, we were going to lift the scooter into the back of his unit, and he called for another person with a golf cart to give me a ride. They were extremely helpful. I can not thank all the parties involved and the Kansas City Zoo for their quick and effective help in a very frustrating situation. While we didn’t get to see everything we wanted to see, now we just have an excuse to go back sooner once the scooter is back in commission and a reason to compliment the zoo even more! Chuck called me back and I ran the scooter over to him. He called me back after talking to the manufacturer and they believe the mother board is damaged. A new one is on it’s way and Chuck will replace it as soon as he gets it. If anyone is in the Kansas City area and in need of a scooter rental, a scooter purchase, or any mobility needs, Chuck is a great resource. I have rented two scooters from him before we purchased mom’s last year and we have had nothing but great service from him. The mother board is just a fluke and not a common problem. We will be happy to have it back and her rolling again!